A dance with our Devil is all you’ll need to see what the next generation of your organization can be. Every Devil is custom built to your applications and tasks. 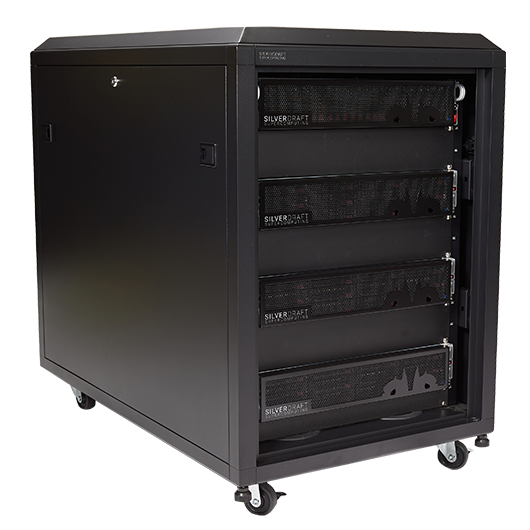 We preconfigure, load your software, and deliver our Devil to your specifications ready to plug and play for ’24 hour pallet to render’. Our engineering team provides the support to give you immediate return on your Silverdraft investment. 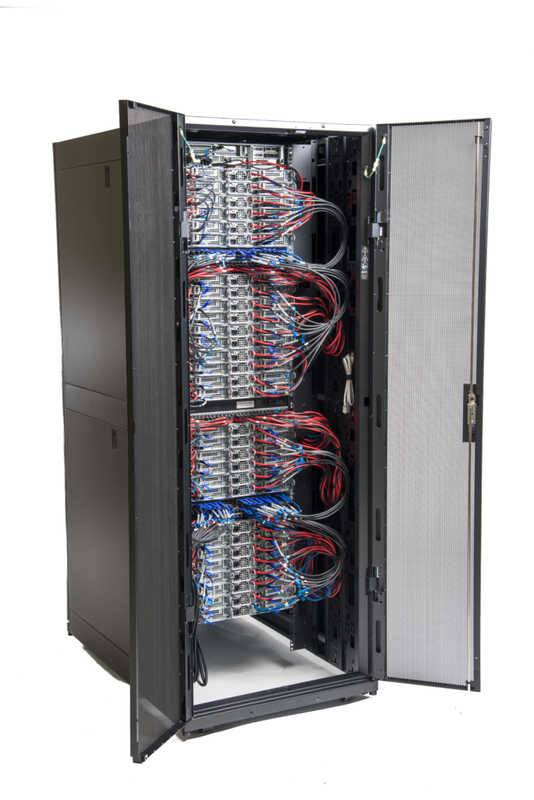 Join the legion of IT experts from Volkswagen, Zimmerman Advertising, Nissan, WWE, and others who value 1/3 less footprint than HP and Dell, faster performance with fewer cores, and a single number to call for knowledgeable human assistance. 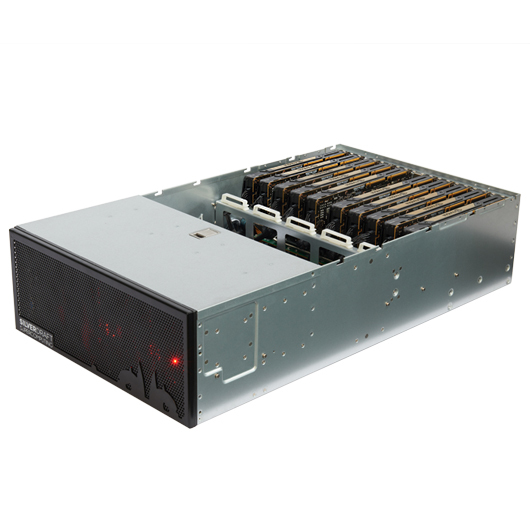 If your application is heavily threaded and hungry for many optimized CPU cores, the Devil CPU compact supercomputer delivers. If you work with photorealistic VR models doing realtime ray-tracing with full global illumination, the Devil delivers. 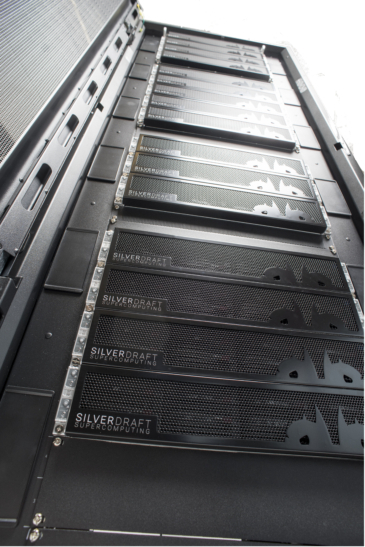 Join global auto manufacturers, leading advertising agencies, and hollywood studios that experience a 30%+ boost to rendering speed, a smaller footprint and less power draw with Silverdraft. 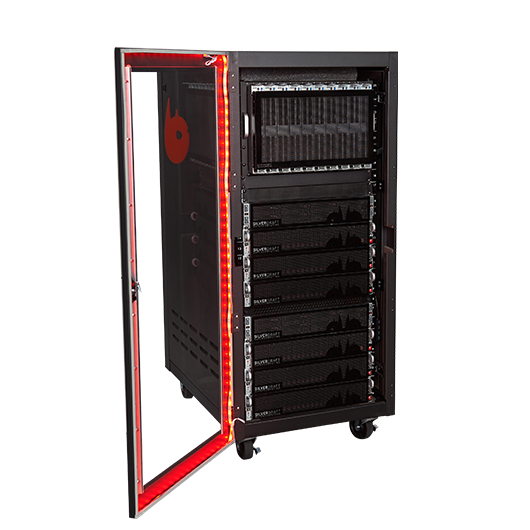 We’ll assemble your complete system, load your software, configure and deliver your optimized Devil ready to plug and play off the pallet within 24 hours. Need the best of both worlds? 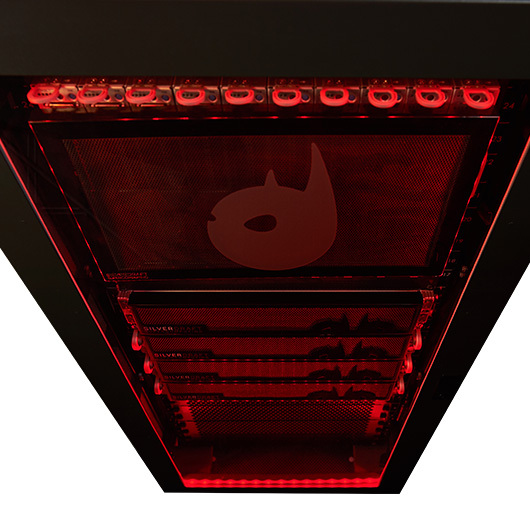 Do your applications require GPU assisted CPU rendering? Do you have different departments requiring different rendering tasks? 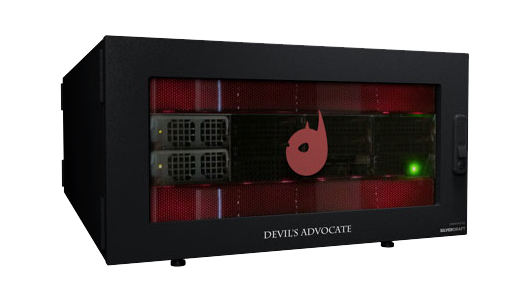 Our Devil Hybrid balances the needs of your organization to deliver CPU horsepower and best in class CUDA core optimization. 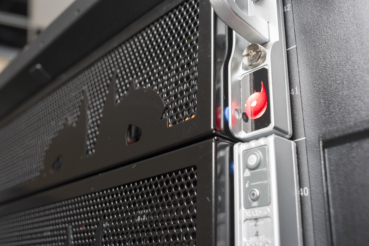 Our experienced team will work with your creatives to ensure that they have access to the computation horsepower when and how they need it. 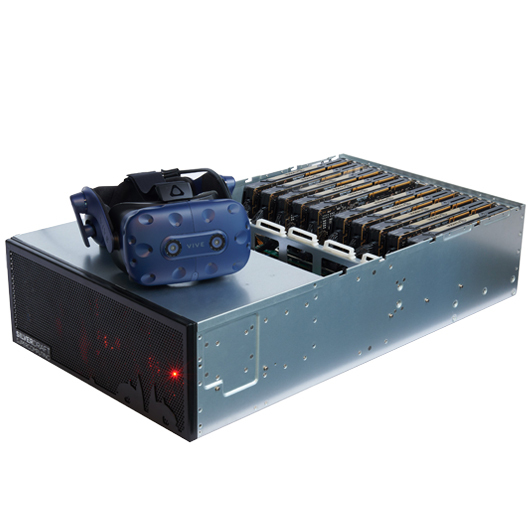 The Devil GPU is the world’s most flexible and configurable GPU compute engine, designed to meet even the most demanding visualization, simulation, VR or rendering requirements. 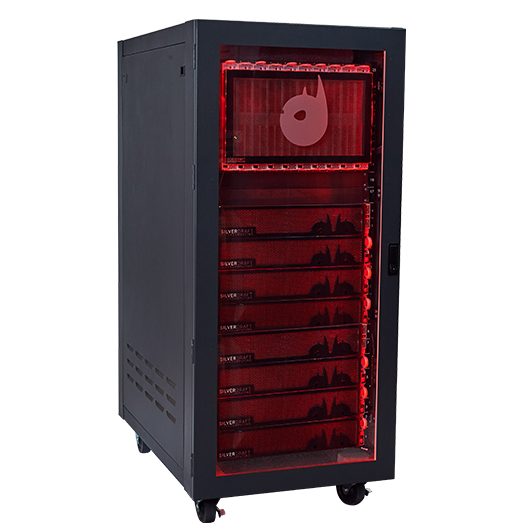 Whether you’re looking for a multi-user VR experience, the industry’s largest GPU render farm, or the most scalable deep learning/ AI engine available, Silverdraft can create a Devil GPU that will meet any challenge. 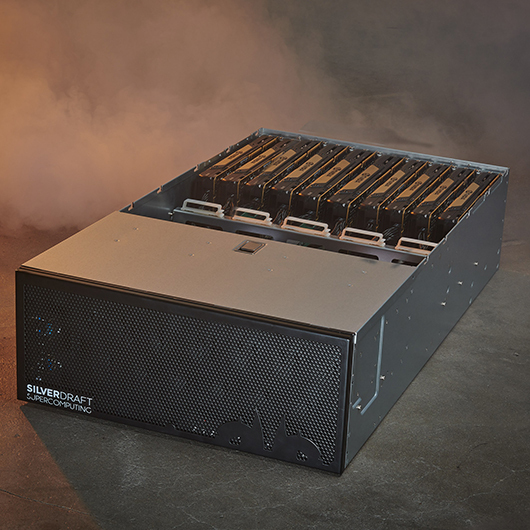 World class transcoding, rendering, and computational horsepower in a single node 2U form-factor that would require as many as 10 1U servers to match its power. 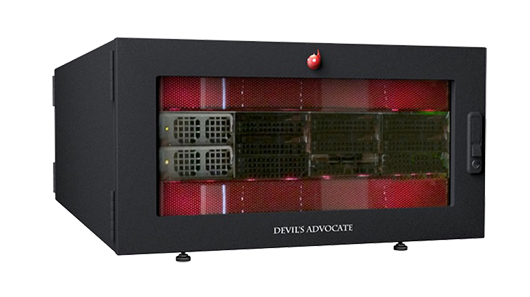 The Devil’s advocate works for you so that all your transcoding, fluid and particle simulations and rendering are delivered on time and within budget.